It looks like that it is a reunion time for Anil Kapoor as he is getting to reunite with his leading ladies once again on silver screen. Earlier it got confirmed that Anil Kapoor and Aishwarya Rai to reunite for Rakyesh Omprakash Mehra's Fanne Khan after a long time, as they were last seen together in Taal. Then the reports came that Mr India is all set to star opposite Dhak Dhak Girl Madhuri Dixit in the new film Total Dhamaal. They are also collaborating after a long time. Now according to the recent reports, the star again set to collaborate with his former actress Juhi Chawla. Yes, you heard right, Anil Kapoor and Juhi Chawla have approached together to play a couple in Vidhu Vinod Chopra's film. According to the latest developments, producer Vidhu Vinod Chopra has produced Juhi Chawla to star opposite Anil Kapoor in his new film 'Ek Ladki Ko Dekha To Aisa Laga'. The interesting thing is that Anil Kapoor's daughter Sonam Kapoor and Rajkummar Rao are playing leading roles in the film. 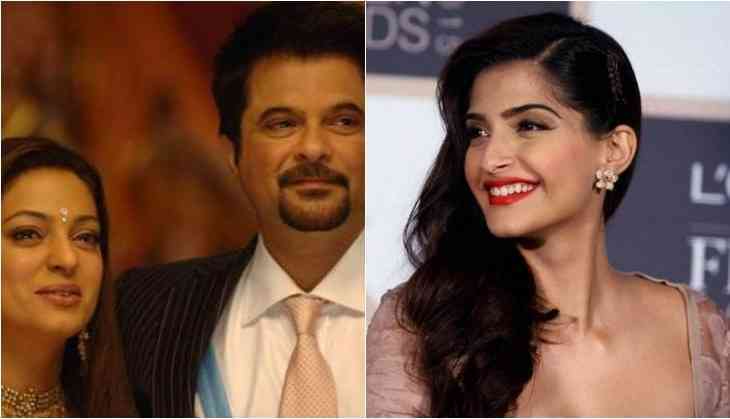 This is also going to be first collaboration of Anil Kapoor and Sonam Kapoor on the silver screen. It will become interesting if Juhi also says to the project. This is to notice that the film will be directed by Vidhu's sister and the title of the film has taken from a hit song of Vidhu Vinod Chopra's film 1942 A Love Story starring Anil Kapoor and Manisha Koirala.